This moist, scrumptious Banana Cranberry Bread adds tangy fresh cranberries for an extra zip to this homemade banana bread. 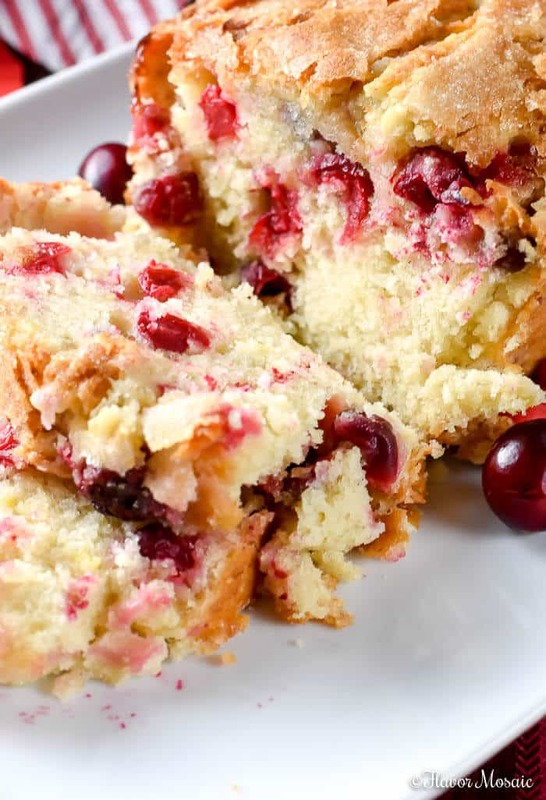 The addition of fresh cranberries to this homemade Banana Cranberry Bread makes it especially colorful, flavorful, and festive for Christmas and the holidays. If you follow my blog, you probably realize that I love banana bread or cake in all shapes and sizes. Did you check out my Moist Banana Bread recipe, or my Bananas Foster Upside Down Cupcakes, or the Easy Banana Nut Muffins? See, we go bananas over banana bread! Of course, I love using cranberries in recipes, as you can see in this recipe as well as my Homemade Fresh Cranberry Christmas Cake. 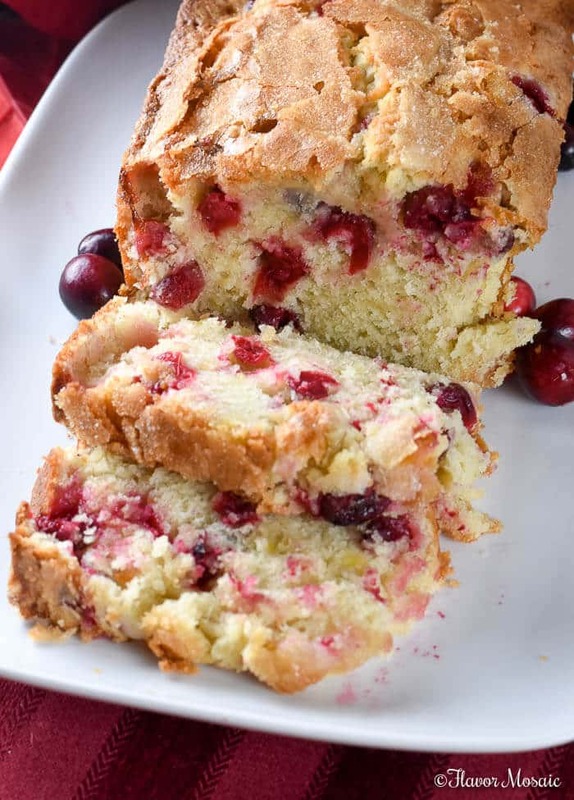 I’m certain that you and your family will go bananas over this Banana Cranberry Bread. 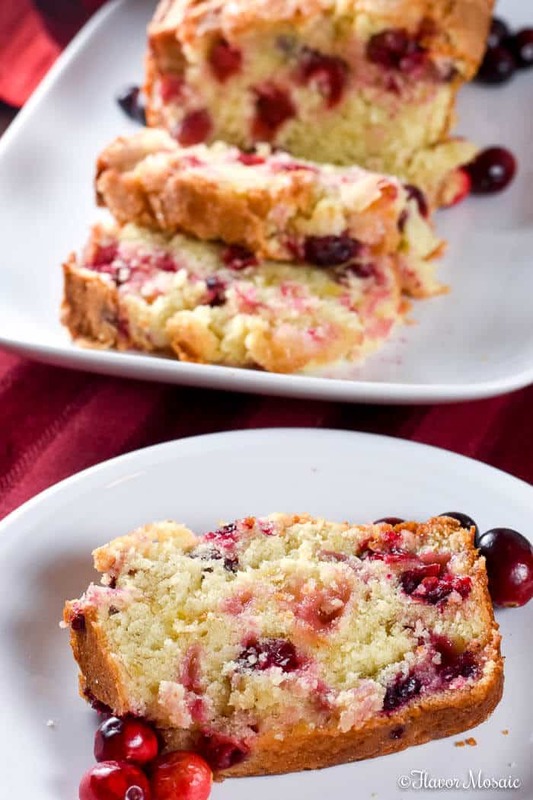 It is moist, delicious and then the colorful cranberries add that zing to take this banana bread over the top. I love cranberries for the holiday. This recipe would work too if you have leftover cranberry sauce. You could stir in cranberry sauce instead of fresh cranberries to use up holiday leftovers. It would probably make the cranberries a little sweeter since the cranberry sauce already has quite a bit of sugar in it. However, I like adding the sugar-coated fresh cranberries because then I get that contrast of the sweetness and tartness in the flavors and love how pretty it makes the banana bread. Don’t laugh. You know I’m a blogger. I like my food to look pretty! It is what bloggers do. It is in our blood. If you follow the printable recipe instructions below, this Banana Cranberry Bread should turn out wonderful. However, below are some additional tips to ensure that your Banana Cranberry Bread is the best that it can be. Use VERY ripe bananas to bring out the banana flavor in the bread. By very ripe, I mean the bananas are almost or mostly black. When the bananas look like you want to throw them out, that is when they are perfect for banana bread. The darker they are, the more banana flavor they will add to your banana bread. Do not use yellow or green bananas because you won’t taste the banana flavor in the bread. Coat the fresh cranberries in sugar. Why? Have you ever tasted fresh cranberries by themselves? You will be making an instant fish face because they are tart, very tart. 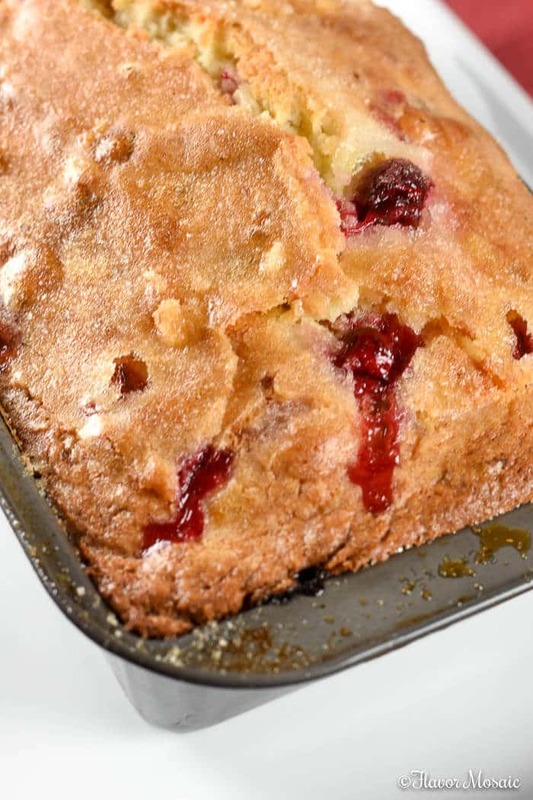 By adding the extra sugar on the cranberries, it balances out the tartness and contrasts nicely with the banana bread. Leave the butter out for an hour to soften. Don’t just throw butter in the batter straight from the fridge. Why? You will find out when you try to beat it with the sugar because it will be very difficult to beat with the mixer. By letting it sit out an hour or two to soften, it gives it the right texture and makes mixing much easier and will provide a better consistency to the batter. Let eggs sit out to be room temperature. Let the eggs sit out an hour or so before you start baking. You want them to be room temperature because that gives the batter a lighter texture. If you don’t have an hour or two to spare, then place them in a bowl of warm water for 10 to 15 minutes to warm them up more quickly. 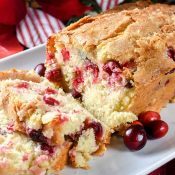 Serve your Banana Cranberry Bread on pretty platter and place fresh cranberries on the platter around the Banana Cranberry Bread. 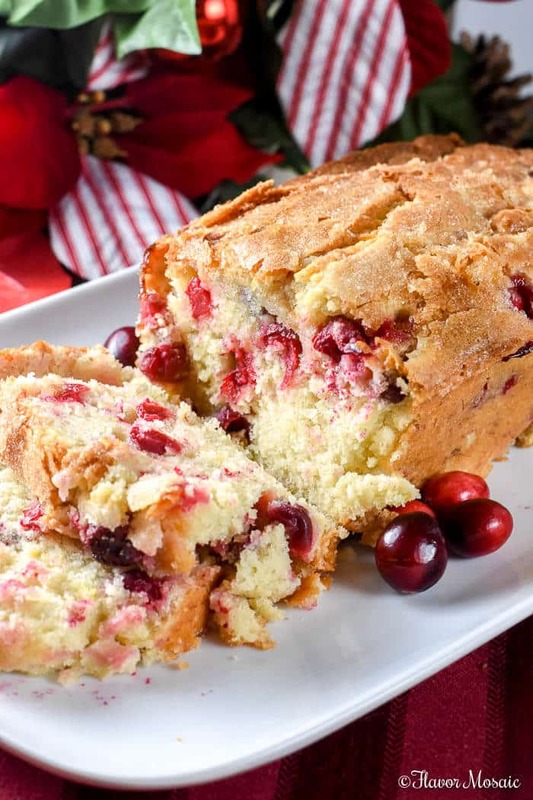 Will you be adding this Banana Cranberry Bread to your holiday table? Please leave a comment and let me know. I love hearing from you. Either butter and flour a loaf pan or spray it with baking spray. In a medium mixing bowl, add the softened butter and 1 cup sugar and mix together. Add the mashed bananas, heavy cream and eggs, and mix well. Stir in the vanilla. Add the flour and baking powder, mixing just until moist. In a medium bowl add the fresh cranberries with 1/4 cup sugar. Toss to coat. Stir the sugar-coated cranberries into the batter. Spread batter evenly in a loaf pan. Sprinkle any remaining sugar over the top of the batter. Bake in a preheated oven for 1 hour. Check and may need to bake for 10 more minutes. 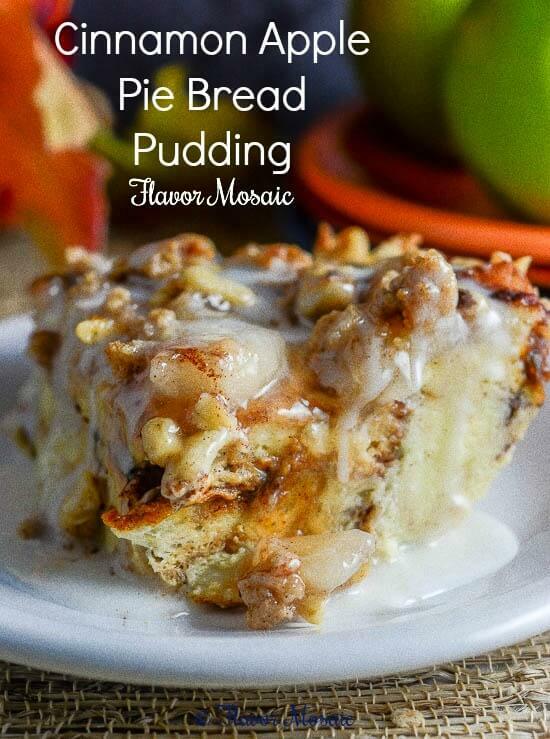 If you like this recipe, be sure to pin it to save for later. Love the flavors in this bread and the texture looks perfectly delicious!! Great photos too, very festive! This bread looks so soft and moist…almost like a cake!! Thanks for sharing!!! Hi Jocelyn, yes, it does have a texture like a cake. It is so good. Looks yum, I need few of these slices right now! Banana Cranberry Bread is an unusual bread. It was excellent; however, in the ingredient list it says “baking powder” but in the instructions says baking soda! I did it the 1st time with soda and the second time I am using 1 t of each. The first time I used whole cranberries & it turned out good. This time I chopped them. Not sure what a “rough” chop is. Hi Dorothy, I’m glad you liked it! Thank you for bringing the discrepancy to my attention. The ingredient list is correct. I updated the instructions to specify baking powder. Basically, a rough chop is chopping the cranberries in larger pieces instead of trying to chop them in small pieces.